What about love? What about trust? What About Us? 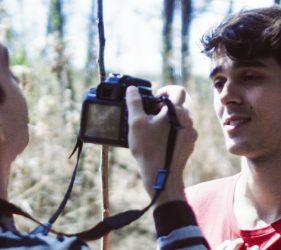 Diego (co-writer/director Thiago Cazado) has to leave his hometown in Brazil to attend a film school in California for 4 years. 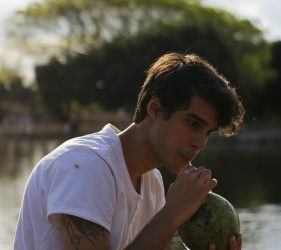 He also has to leave behind everything he has ever loved… including Matheus (Rodrigo Bittes), a handsome young man with whom he fell madly in love and shared passionate moments. 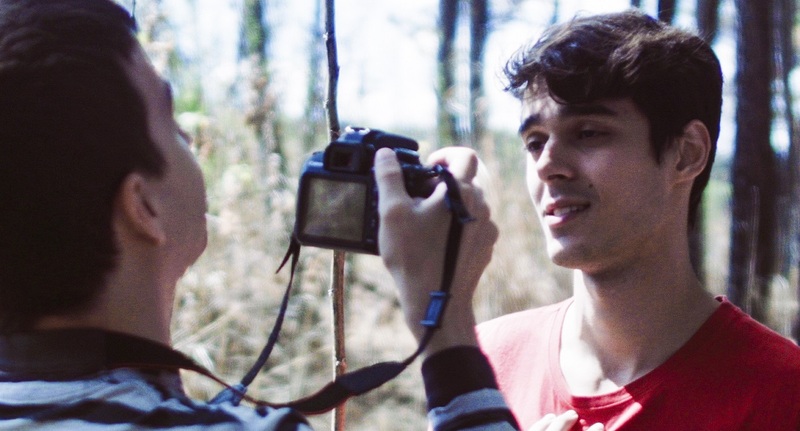 Ten years later, back in Brazil, he decides to write a novel about their relationship using his camera instead of his pen. This heartfelt biopic shows how passion can increase our motivation in life but how making choices can be cruel for passion. 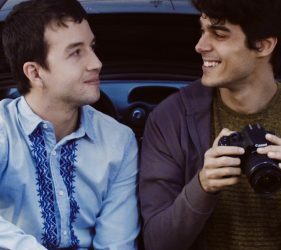 The young, independent, Brazilian directors/ producers behind the touching new gay romance About Us have previously released three short films on the internet, which earned views totaling more than one million. After this excellent initial feedback, the decision was made to auto-finance their first feature film relating the intense and passionate relationship one of them had with a handsome lover. 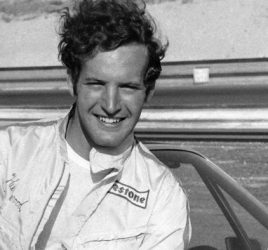 The movie was filmed in four months with local actors from Brasilia. Some of them are famous, some are beginners, but all of them were highly involved into the project. 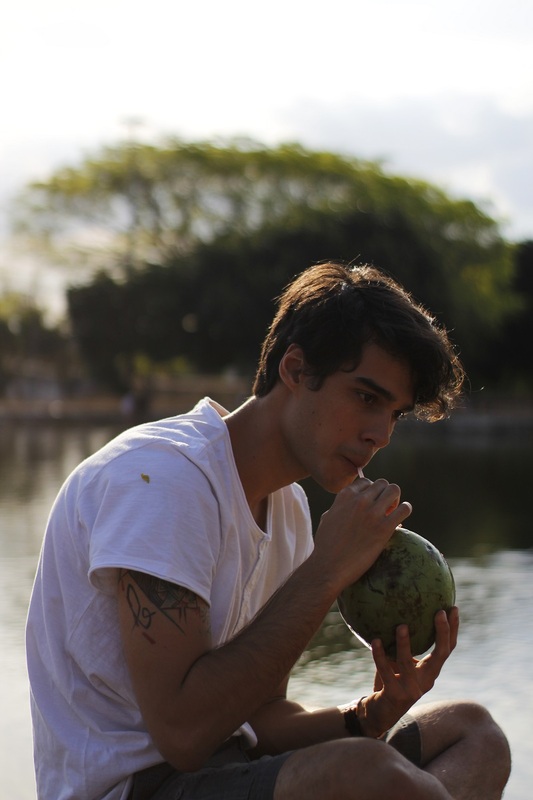 Thiago Cazado, who plays the protagonist and co-wrote and directed the film, is very active on the art scene in Brasilia on stage and in clubs where he works as an actor and as a DJ. About Us is coming to DVD in early March, courtesy of TLA Releasing. Check out the positively charming trailer below as well as some choice exclusive images – and make sure to pre-order your copy here.